I created this tip while I was at Steve Olsher’s Internet Prophets LIVE! event. Steve created a fabulous structured networking event where I met lots and lots of people, with loads of opportunities to connect further down the line, to further my business goals. That’s the whole purpose of networking. I’m going to show you today how to use LinkedIn to take that networking to new levels, to follow up with those people that you met at these networking events. One of the people that I met is Darren Delaney, so I’m going to see if I can find him, because Darren didn’t have any cards. Darren has a great LinkedIn profile. What I’m going to do is I’m going to connect with Darren, and I’m going to put a little personalized note in that connection. I’m going to say we’ve done business together and choose a company. I’ll add a note saying, “Hey Darren. We met last night at IPL15. Love to connect here.” Then I send this invitation, but I’m not done yet. I’ve connected with Darren, but I still haven’t done anything. I still haven’t done anything to follow up with Darren. Here’s what I want you to do now. I want you to click on your connection’s profile. Click the little star to save to your contacts. You do that for the relationship tab to pop up. It gives you the ability to go tag your connection. In this example, I’ve created a tag for IPL15. It gives me the ability to tag Darren, so when I go back and look at this, I know where I met him. There’s more. I can go in and write a note with all the things Darren and I talked about last night, so I remember what I need to follow up with him on. I can set a reminder. LinkedIn does it for me, a week, a month. I’m going to say I’m going to follow up with Darren in a week. Click save and LinkedIn will email you in a week, saying follow up with Darren. All your notes are there. The day after the event, I went in, took my stack of business cards, and did this for all of the connections that I made. It really adds rocket fuel to your networking efforts. I’d love to see you doing this in your networking efforts. Use LinkedIn in this powerful way to follow up, because the fortune is in the follow up. We hear this over and over, right? You met all these great people. Do it right away because you’re going to forget. Do it consistently and use this powerful tool. It’s free. I’ve got a stack of business cards, but about half of the people that I met at this event don’t even have a LinkedIn profile, so I can’t follow up with them. I can call them. 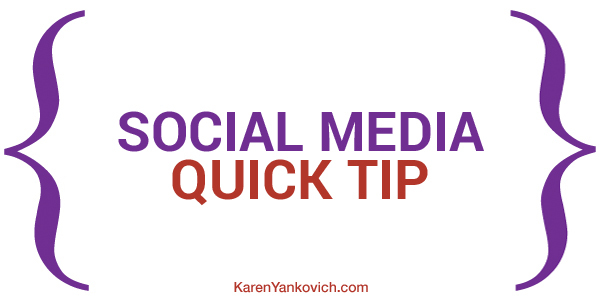 There are other ways to follow up, but if you want people to stay connected to you, keep those connections you made warm, make sure you have a LinkedIn profile so that you can take advantage of these free tools.